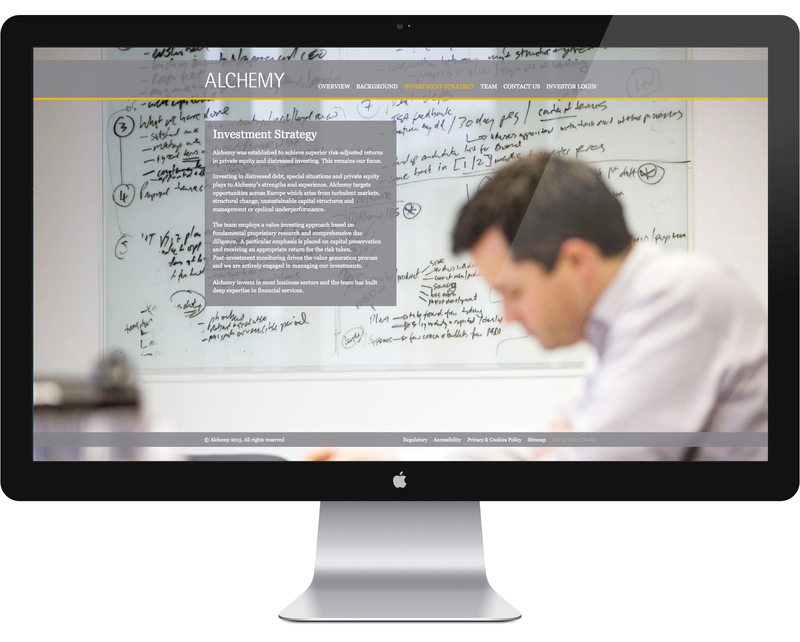 Alchemy specialises in investing in distressed and undervalued or underperforming businesses and other special situations through debt and equity across Europe. They didn't want to say too much about themselves but wanted their site to have an expansive, eye-catching feel. A photo-shoot inside and out of their unique circular offices provided an engaging human aspect to what can be a very hard-nosed business.